Properties: Light yellow or amber liquid. Boiling point is 231°C. Soluble in alcohol, carbon disulfide. Slightly soluble in water, can evaporate with water vapor. Possess neutral reaction with similar odor of oxazoline. Application: Can be used for photo’s material, spice or organic synthesis intermediates, and also the reagent in research which is about agricultural and plant resources. Storage: The product should be stored in the dry and cooling place with good ventilation, avoiding exposure of the packaged product to direct sunlight. The validity is 2 years. Packing: 250kg/ drum or 1250kg/drum. 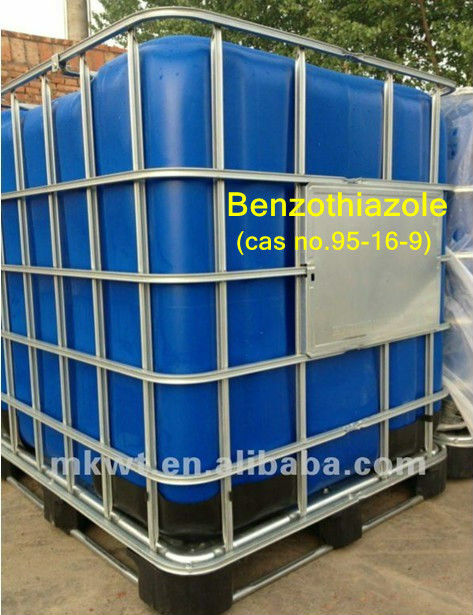 Contact us if you need more details on Benzothiazole Reagent. 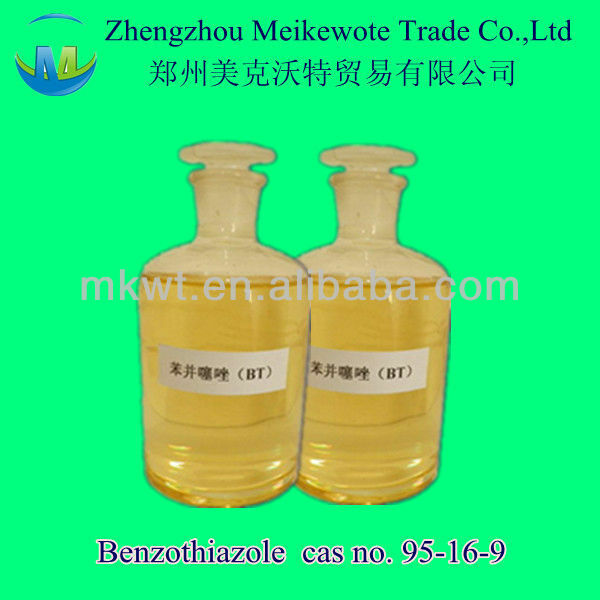 We are ready to answer your questions on packaging, logistics, certification or any other aspects about Thiazoles Benzothiazole/bt、Cas No.95-16-9. If these products fail to match your need, please contact us and we would like to provide relevant information.